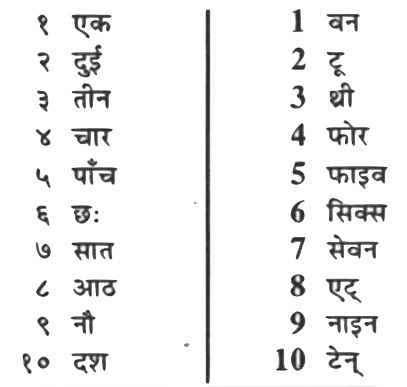 The letter Kha (ख) is the second consonant of the Devanagari script of Nepali language. The letter can be traced back to the Brahmi letter (ka). Brahmi script is the oldest writing systems used in South and Central Asia from the 1st millennium BCE. The letter later transformed into the present form of Ka. 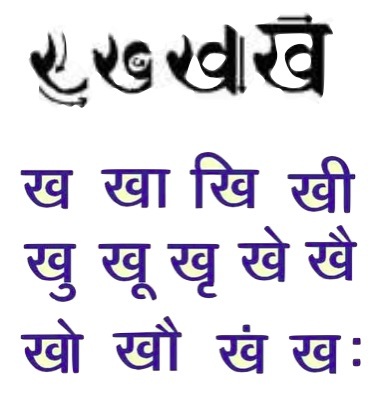 The original Indic letter Kha is attested in three different forms. The first is in standard Brahmi, ka, the second in the Brahmi variant, Tocharian, also known as slanting Brahmi. The third form of Kha, in Kharoshthi () was probably derived from Aramaic separately from the Brahmi letter. The Brahmi letter kha, kha, is derived from the Aramaic q, Q, and is related to the modern Latin Q and archaic Greek Koppa. Details about more alphabet will be coming soon.